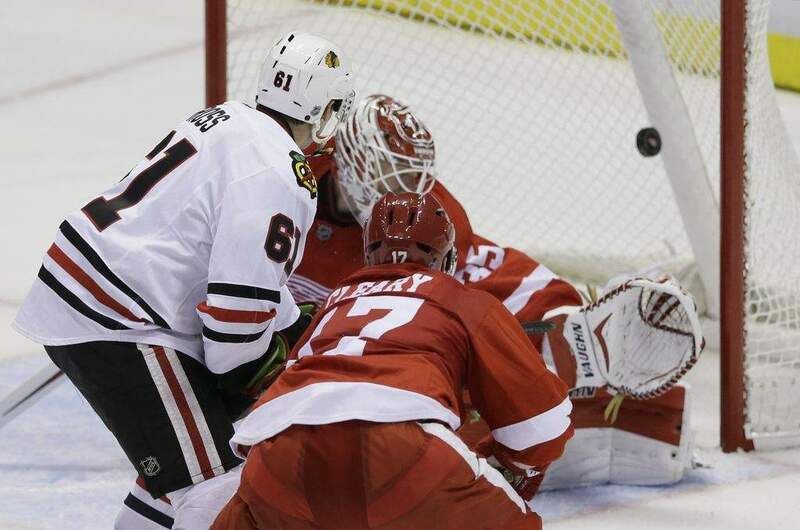 Associated Press: Chicago Blackhawks left wing Garret Ross (61) shoots the puck past Detroit Red Wings goalie Jimmy Howard for a goal during the third period of an NHL hockey game in Detroit on Sept. 25, 2014. The Komets needed to load up their forward lines. They signed Garret Ross, who has 288 games of experience in the higher-level American Hockey League, and traded for Garrett Ladd. Ross, 26, a fifth-found draft pick of the NHL's Chicago Blackhawks in 2012, has spent the entirety of his professional career in the AHL. Last season, he totaled seven goals and 13 points in 51 games with Rochester. 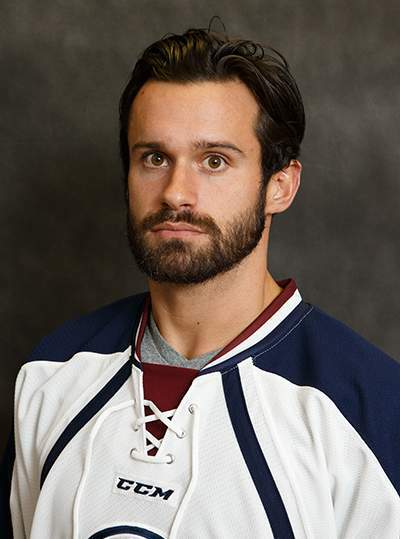 His most productive season, 2014-15, saw Ross accrue 21 goals, 43 points and 100 penalty minutes in 69 games with Rockford. As for Ladd, 29, the Komets acquired his rights from the ECHL's Tulsa Oilers for undisclosed returns after he amassed 21 goals and 46 points in 48 games. He also played in the United Kingdom. 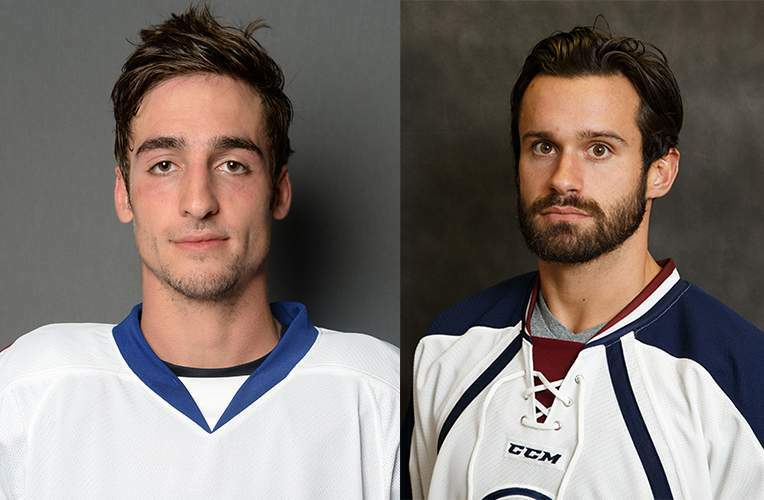 The Fort Wayne roster is up to 25 players, including 16 forwards, seven defensemen and two goaltenders, with more on the way through the new affiliation with the NHL's Vegas Golden Knights. 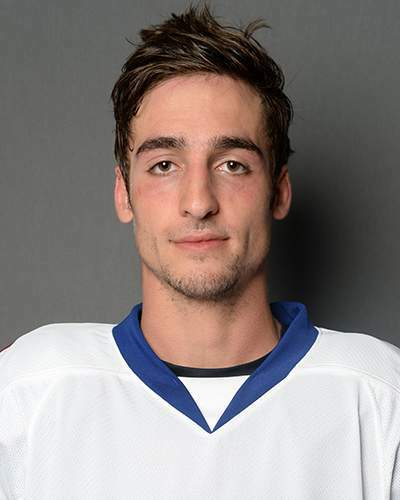 In other news, Dennis Kravchenko, who played last season with the Komets, has re-signed with Adirondack. He played for the Thunder in 2017–18.